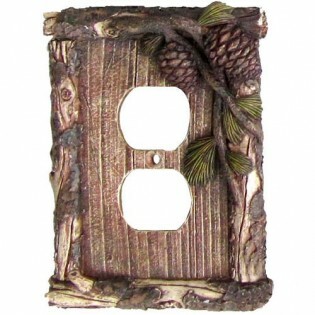 Resin Pine Cone & Twig Switch Plate Covers feature pine cone and branches on the wood. Single Toggle Switch Plate measures 5.5" X 4.25"
Double Toggle Switch Plate 5.25" X 5.5"
Outlet Cover measures 6" X 4.25"
Resin Pine Cone & Twig Switch Plate Covers feature pine cone and branches on the wood. 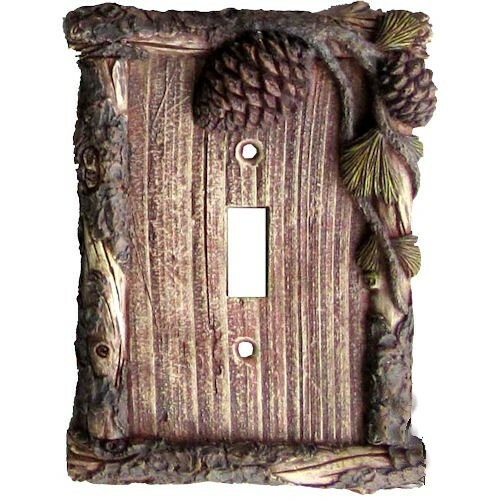 Single Toggle Switch Plate measures 5.5" X 4.25" Double Toggle Switch Plate 5.25" X 5.5" Outlet Cover measures 6" X 4.25"